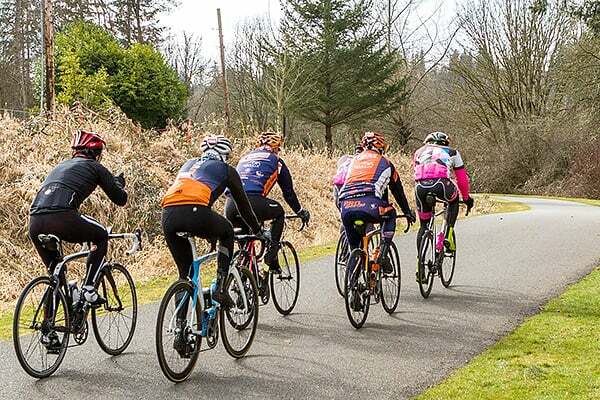 More and more people are riding bikes, which means we need safer routes. 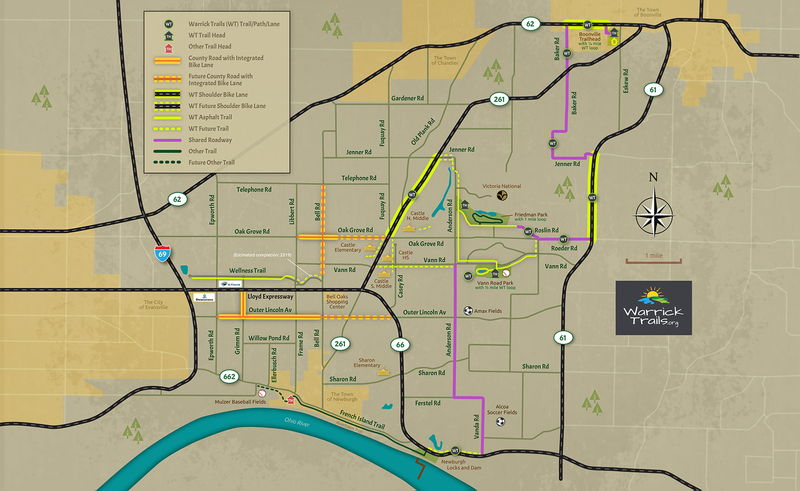 For Warrick County Indiana residents and visitors, an improved trail network will help reduce risks associated with accidents that occur between automobiles, pedestrians and bikes. People literally are taking their lives in their hands to get outside, be active, exercise, and feel good. The trails will keep me and my family off the dangerous roads and allow us to be active closer to our home, in a safe environment. 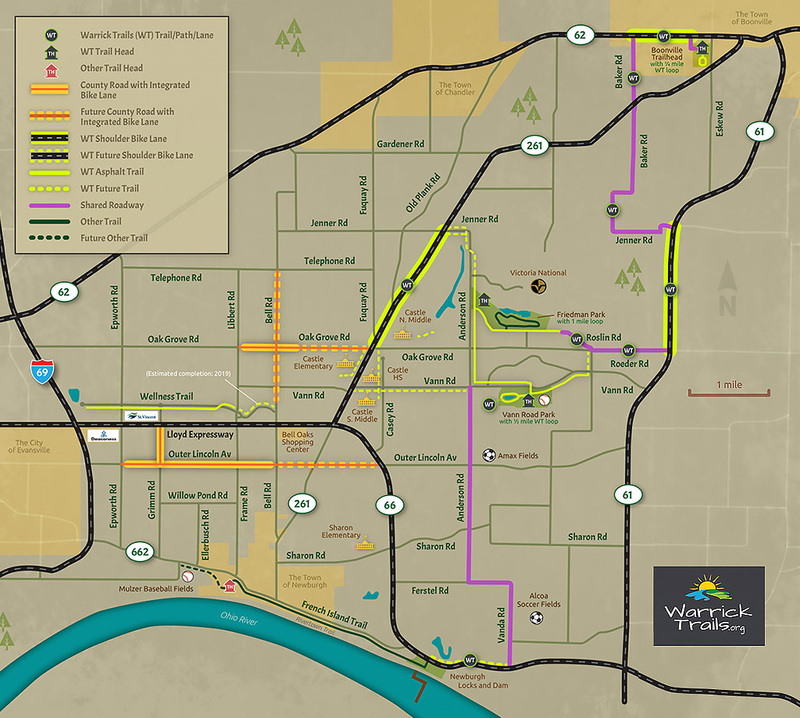 The Warrick Trails project is donor-supported, means we rely on donations. Learn how you can help us make this happen. Tell a family member, friend or neighbor about Warrick Trails. Like, share and follow us on Facebook. Get the word out! Keep up with all the exciting Warrick Trails news by signing up for our newsletter. Join our mailing list to receive the latest Warrick Trails news and developments.